Last week at the cavernous Miami Beach Convention Center, Cruise Shipping Miami – a four-day conference with global pull – folded the tables and chairs and dismantled the acres of displays as it put the finishing touches on another successful event. 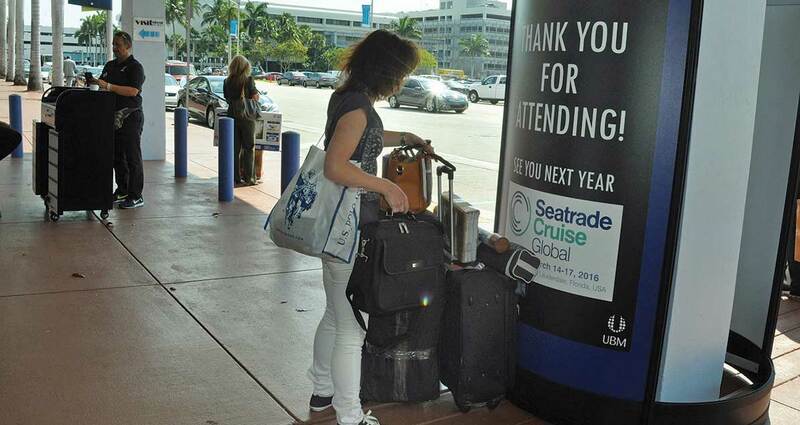 But in 2016 the premier annual event of the worldwide cruise industry is taking the show and its more than 900 exhibiting companies to Fort Lauderdale. That’s because the convention center is getting a long overdue rebuild. How that massive renovation will impact long-time exhibitors like Cruise Shipping Miami and the Miami International Boat Show is clear in the short-term, but less clear for the long-term future. The events calendar for the Miami Beach Convention Center is peppered with shows and conferences and conventions through the first weeks of December when Art Basel 2015 unfolds. The grid of months is void of any events after that, as the city is expected to dive into the million-dollar facelift in a major way with the start of 2016. The Miami International Boat Show is arguably one of the biggest exhibitors to lease the convention center. The boat show and the convention center have been partners for more than 45 years, but next February when the annual show opens it will be on Virginia Key, on the land and water adjacent to iconic Miami Marine Stadium. With knowledge of the major rebuild of the convention center, the group that puts on the boat show, the National Marine Manufacturers’ Association, began looking elsewhere for a main staging area. And they need a lot of room – more than 1 million square feet, in fact. The boat show is internationally famous and draws 100,000 attendees to the Miami area every year. The Virginia Key site is owned by the City of Miami. City commissioners approved a license to the manufacturers’ association to host the show there and agreed to spend up to $16 million to develop a flex park next to the closed concrete stadium. The agreement allows the association to use the site for the 2016 boat show and leaves the door open for future shows there. Ms. Rick-Joule said she’s confident the boat show will be at Virginia Key for at least two years. Beyond that, the future gets murky. Will the boat show ever return to the convention center? “It really depends on what type of space they create. That’s a big question for us,” said Ms. Rick-Joule. The boat show began in 1941, owned by a different entity. The very first show was held under a big tent on Dinner Key, and moved to other area locations for many years. The boat show has been at the Miami Beach Convention Center since 1969. The manufacturers’ association purchased the show in 1984. “It’s been a great experience,” Ms. Rick-Joule said of the years of working with the city and convention center staff. Like a home show or auto show, the boat show is a major player and considered the “bread and butter” of any convention facility, she explained. The association has had a very good working relationship with the convention center for years, being considerate of each other’s needs and striving to maintain open communication, she said. The convention center staff was quick to keep the association involved in any changes, including a major renovation in the mid-1980s. The rebuilding was phased out over about five years, and the convention center worked with the association to figure out the new configurations needed to house the exhibits while major portions of the structure were being worked on, she said. Leading up to the coming renovation, the association continued to have a voice in planning, Ms. Rick-Joule said. The initial plan was to see the renovation phased in over a number of years, she said. The association was working in tandem with architects on what space was needed. Those talks and plans were held under the administration of former Miami Beach Mayor Matti Herrera Bower. The focus was on renovating the center in phases with the goal of not losing any business, Ms. Rick-Joule said. A change in administration occurred and the plan switched to reducing the length of reconstruction to two years. “Of course that impacts the viability of a lot of businesses (as) there’s no space for them,” she said. In order to keep the boat show at the center for 2016 and 2017, the association would have had to downsize the event by more than 70%, she said. Talk about a challenge. She noted that the boat show typically uses all three levels of the center. “We literally use almost every square foot of the convention center,” she said. The boat show has always been a multi-venue event and will continue to have boats at the Sea Isle Marina near the Venetian Causeway and at Miamarina at Bayside. “We’re not sure how things will play out. Up to now, they considered us a real partner, they solicited our opinion and advice. We hope that continues,” she said.